Sophie Johnson is a self-confessed unicorn expert, bursting with information and knowledge that she is keen to pass on! The dream team of Ella Okstad and Morag Hood bring you this wonderfully comic tale of a mythical creature hiding in plain sight! Ella’s pedigree when it comes to illustrating the imaginary, the mythical and the magical is unrivalled - from invisible cats to ghosts, wizards to Sand Fairies, Ella was certainly the only possible choice to bring to life the endearing character of Sophie whilst beautifully capturing the utter chaos of this hilarious story to perfection! 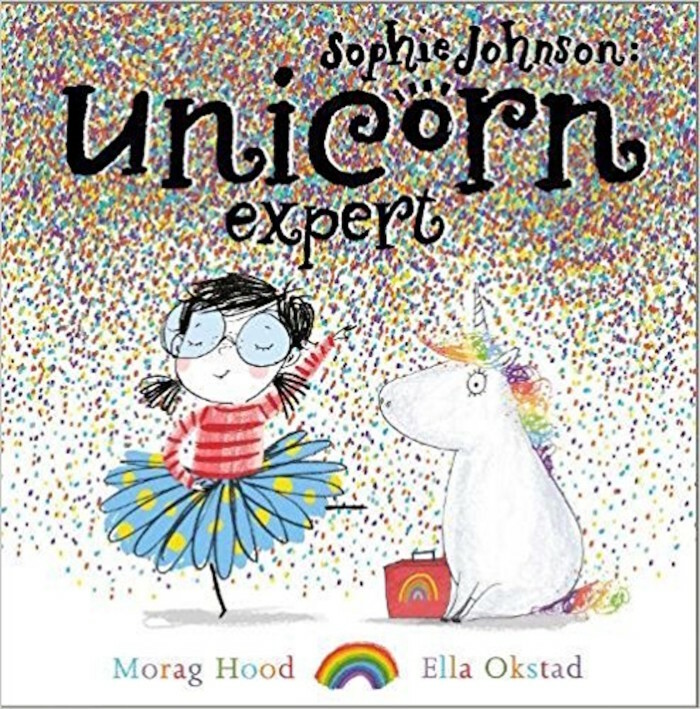 Ideal for fans of unicorns, rainbows and magic everywhere, Sophie Johnson Unicorn Expert is out on 5th April.Get your copy here! Next Ella's Awesome Amulet Adventure!